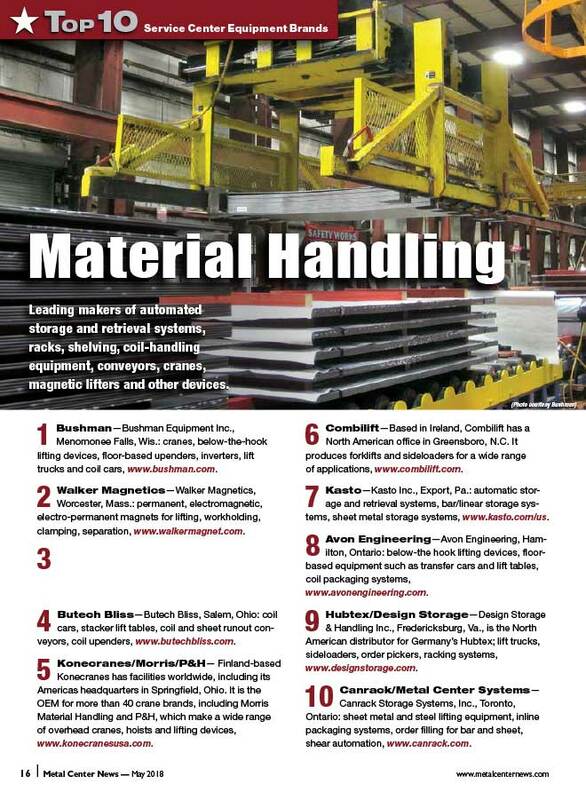 Each year, Metal Center News polls its service center readers to get an idea of which equipment manufacturers in four different categories are top-of-mind. Results are published in the May issue’s “MCN Top 10 Service Center Equipment Brands Survey”. The final rankings are determined by the largest number of votes received and reflect which companies occupy the largest share of mind among their customers and highest level of customer satisfaction—an excellent indicator of the manufacturer’s level of positive brand awareness.